Board of Directors Distinguished Service Award. District IV NABP/AACP, 2010. Recipient of the annual Alumni Award of the Philadelphia College of Pharmacy, University of the Sciences in Philadelphia, 2008. Elected Fellow, American Pharmacists Association, 2008. Excellence in Teaching award. Wayne State University College of Pharmacy and Health Sciences, 2006. "Goyette Award for Outstanding Service to the Profession." The Wayne County Pharmacists Association. 2002. "Meritorious Award for Significant Contributions to Pharmacy." The Wayne State University Pharmacy Alumni Association. 1999. Commencement Speaker - Pharmacy Class of 1999. Wayne State University, College of Pharmacy and Allied Health Professions. 1999. "Pharmacist of the Year." The Michigan Pharmacists Association. 1998. "Joseph A. Oddis Leadership Award." The Michigan Society of Hospital Pharmacists. 1996. Citation for "Excellence in Leadership and Service." Wayne State University College of Pharmacy and Allied Health Professions. 1996. "Distinguished Alumni Award." The Ohio State University, College of Pharmacy. 1996. "Executive Board Service Award." The Michigan Pharmacists Association. 1996. "Distinguished Achievement Award in Institutional Practice." American Pharmaceutical Association, Academy of Pharmacy Practice and Management. 1996. Award for "Achievement in the Professional Practice of Hospital Pharmacy." American Society of Hospital Pharmacists Research and Education Foundation. 1994. "Community Service Award." Southeastern Michigan Society of Hospital Pharmacists. 1994. "Teacher of the Year." Wayne State University College of Pharmacy and Health Sciences. 1990, 1991, 1994, 2004, 2007. Faculty Advisor, Gamma Chi (Wayne State University) Chapter of Phi Lambda Sigma, The Pharmacy Leadership Society. 2010 - Present. Board of Pharmacy Liaison, Michigan Pharmacists Association. 2004 - Present. Member, Board of Governors, Ohio State University College of Pharmacy Alumni Society. 1995 - Present. Chief Executive Officer, NABP/AACP District IV. 2001 - 2010. Grand Council Deputy (Faculty Advisor) Kappa Psi Pharmaceutical Fraternity, Mu Omicron Pi (Wayne State University) Chapter. 1995 - 2011. Section Advisory Group on Management Competencies, American Society of Health-System Pharmacists. 2005 - 2008. Chair, 2006-2007. Member, Michigan Board of Pharmacy. 1993 ‑ 2004. 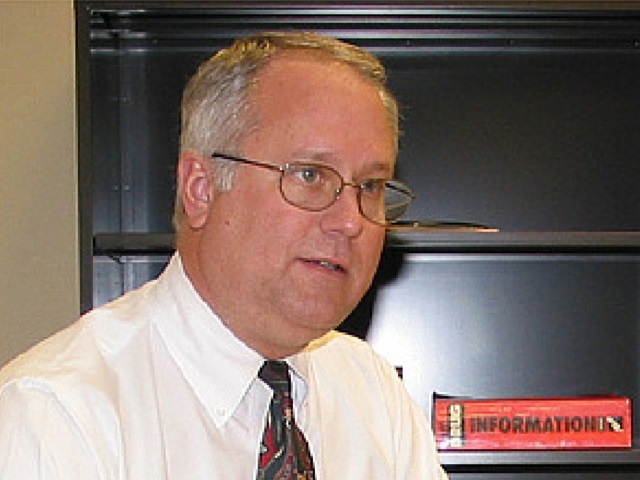 Vice-Chairman, 1996-1998, 2003-2004, Chairman, 1998 - 2002. Michigan Board of Pharmacy Rules Subcommittee. 1994 - 2004. Chairman 1994-1998, 2003-2004. Member, Michigan Board of Pharmacy Disciplinary Subcommittee. 1994 - 1998, 2002 - 2003. Member, Michigan Joint Commission on Pharmacy Practice. 1995 - 2003. Chairman 1999 - 2003. Member, Board of Trustees, The American Pharmaceutical Association. 1999 - 2002. Chairman, Task Force on Internet Pharmacies and Prescribing, Michigan Department of Consumer and Industry Services. 2000 - 2001. Member, Executive Board, Michigan Pharmacists Association. 1991‑ 1995. Chairman, American Pharmaceutical Association Advisory Committee on the Development of Practice Standards for Pharmaceutical Care. 1994 - 1995. Item Writer and Reviewer, Board of Pharmaceutical Specialties' Pharmacotherapy Board Certification Exam. 1990; 1993. Member, Board of Directors, Michigan Society of Hospital Pharmacists. 1988 ‑ 1990. Chairman, Michigan Society of Hospital Pharmacists, Professional Affairs Committee. 1985‑1986, 1987‑1988. Member, Michigan Pharmacists Association, Task Force on Pharmacy Education. 1983‑1984. Member, Michigan Board of Pharmacy, Task Force on Competency Assessment. 1983. Member, Michigan Pharmacists Association, Academy of Clinical Pharmacy Practice. 1982‑1986. Elected Delegate, House of Delegates, American Pharmaceutical Association. 1979‑1981, 1982‑1984. Consultant, Michigan Department of Mental Health. Lansing, Michigan. 1980‑1981. Member, Policy Committee on Organizational Affairs, American Pharmaceutical Association. 1978‑1979. Contributing Editor, International Pharmaceutical Abstracts. 1977‑1979. Consultant, Governor's Task Force on Aging. Lansing, Michigan. 1978‑1979. Contributing Editor, American Hospital Formulary Service. 1976‑1979. Community Service Member, Zoning Board of Appeals, Plymouth, Michigan. 1997- 2002. Planning Commissioner, Plymouth, Michigan. 1986 ‑ 1991, 1997 - 2004. Chairman 1988, 1989, 1991, 2000. City Commissioner, Plymouth, Michigan. 1995 - 1997. Mayor, Plymouth, Michigan. 1993 ‑ 1995. Mayor (Pro‑tem), Plymouth, Michigan. 1991 ‑ 1993. Delegate, Southeastern Michigan Council of Governments (SEMCOG). 1991 ‑ 1993. Chairman, Parking Commission, Plymouth, Michigan, 1990, 1992. Member, Health Services Committee, Preferred Health Plan ( A Michigan Health Maintenance Organization). 1985 ‑ 1987. Chairman, Industrial and Commercial Tax Abatement Committee, Plymouth, Michigan. 1985‑ 1989.